Llamapath is a fully licensed, professional tour operator based in Cusco, Peru. We offer a variety of treks including Inca Trails and alternative treks as well as tours of all of Peru. Started in 2003 by Jose Gongora. Llamapath has rapidly grown to be one of the top agencies in Cusco thanks to our dedication to providing an excellent service and our groundbreaking policies regarding ethical tourism and porter welfare. From his early career as an Inca Trail porter Jose always felt strongly about the way porters were treated by the agencies so when he had the opportunity to make a difference he took it. 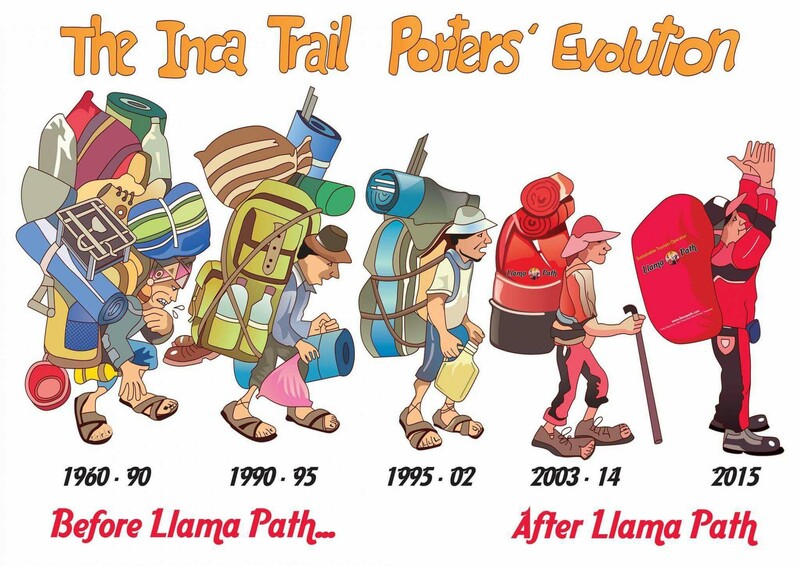 Ever since the first trek we ran Llamapath has been dedicated to ensuring our porters were the best treated on the whole Inca Trail. Provided with proper uniforms and equipment, a fair and legal wage and medical insurance to cover them from any injuries they may sustain our team of porters have completely changed the playing field for other agencies. When Llamapath began it was common to see other agencies mistreating their porters, that's not so much the case anymore and we'd like to think that it's in part thanks to the good example we set. No worries about being a solo traveller - join one of our already formed groups and make new friends! Average Group Size: 8 to 16 people. The only Travel Agency in Peru to take their Porters on Vacations (50-60 Porters yearly).